Cosy yet classy at the same time. I’ve been here twice now and I think I can do a proper review of it. Expect a wait for 30-40 minutes for a table for two or more. It’s a popular brunch place on weekends. Their mocha was strong, latte was good and creamy. Croquet Madame & Fried Egg is delicious, $20. Some cafes do it in a sandwich. This one does it’s own shaved Daylesford ham wrapped and toasted together in the bread. It felt like there was a lot of thought into this dish. I loved their pear and cider chutney on the side, it’s so yummy, I keep dipping my toast with it together with the leek fondue. BBQ Pulled Lamb Shoulder and Fior Di Latte – $30, everything worked well together. Flavoured lamb with pomengranate burst of sweetness into the dish. Almond with the crunch, pumpkin hummus for its sauce. It’s yummy, but a little hesitant for its price. Egg Sundae Royale with added dry cured bacon, $18+$5 = $23. Brioche toasted dipped with charred corn salsa was something different. The avo was very fresh and was mixing this with the egg and salsa. It didn’t feel unhealthy at all. I added bacon to this dish, because who doesn’t have bacon for brunch? The bacon was cooked just right. Not overly oily or burnt. It was delightful. Two Free Range Eggs with House smoked Salmon – $11 +$7 = $18. A simple dish that was self- created. Overall, I’d recommend going to the Grain Store to catch up with a small group of friends or a brunch date. Expect a wait, so go in early. 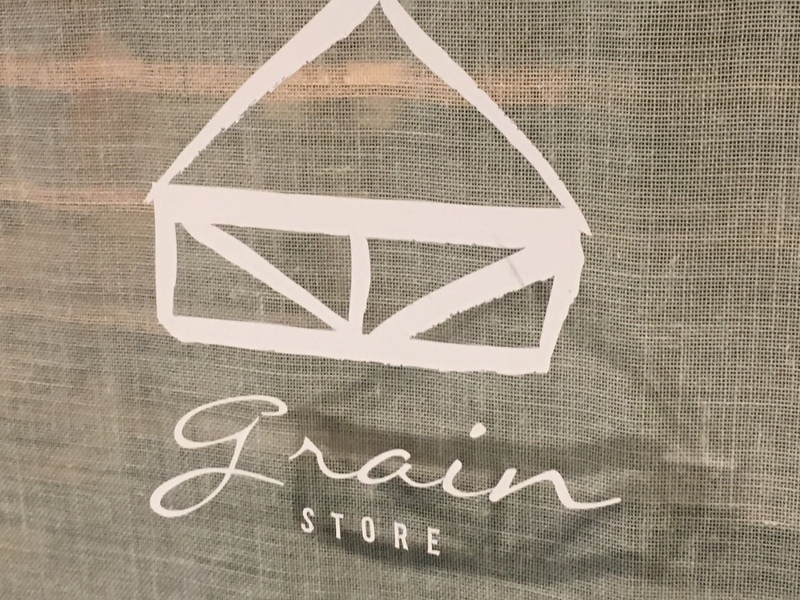 The Grain Store has an indoor area where people wait/sit while waiting.